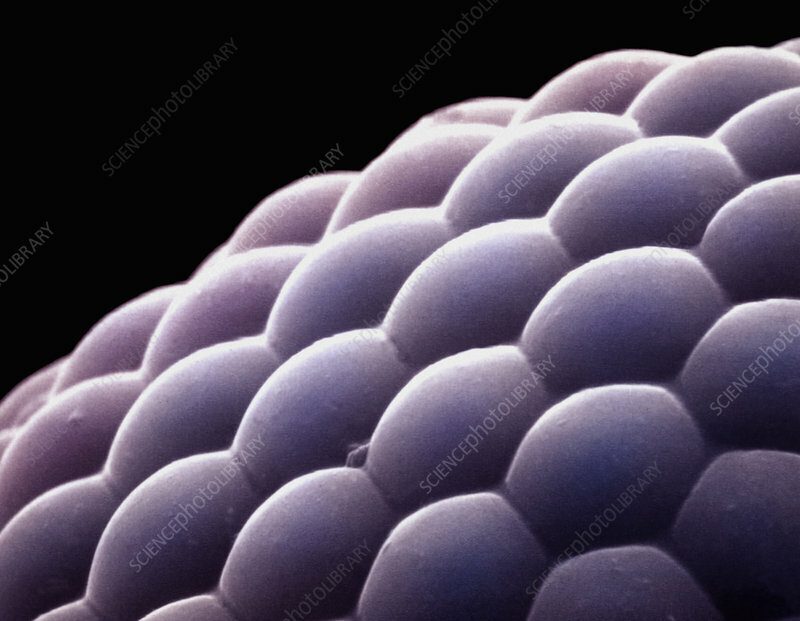 Compound eye from an insect. Arthropod compound eyes are made up of numerous repeating units called ommatidia, each of which functions as a separate visual receptor. SEM X300.